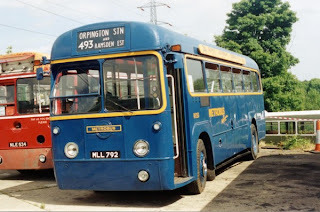 Illogiblog - The Illogicopedia weblog: Illogi Classics - #12, DOES THIS BUS GO TO ORPINGTON?! Illogi Classics - #12, DOES THIS BUS GO TO ORPINGTON?! More nonsense from the depths of the Illogicopedia. Does this bus go to Orpington? Warning: attempting this will result in a punch to the mouth, especially if you are in Aberdeen. The Orpington bus game is rather fun and should be attempted by everyone at least once before they die. Granted, you may die in the process of playing but at least you can say you did it. In heaven. This article tells of the origin of the game, apparently a poor Indian bloke went around everywhere asking if there are indeed any buses that go to Orpington. In the end, the closest he could get was Orpvingzon. Well, another reflection on the modern public transport system. Still, it's a fun game to play... if you like that sort of thing.